Majestic has tipped rosé as a surprise winner this winter, in part due to its “Instagrammable” hue. Last December, the wine retailer sold 110,000 bottle of pink wine in the run-up to Christmas and New Year, and volumes are already up 53% in the year-to-date, it said. Pink Provence sales in particular have rocketed in recent years, and rosé styles generally have adapted to appeal in all weathers, according to Majestic’s rosé buyer Charles Cutteridge. He said this marked a change from the wine’s previous reputation as either “pale and summery, or dark and sickly”. He added that rosé was riding a wave of popular appeal on social media by the “#drinkpink generation”, a hashtag on Instagram that has clocked up nearly 100,000 posts. 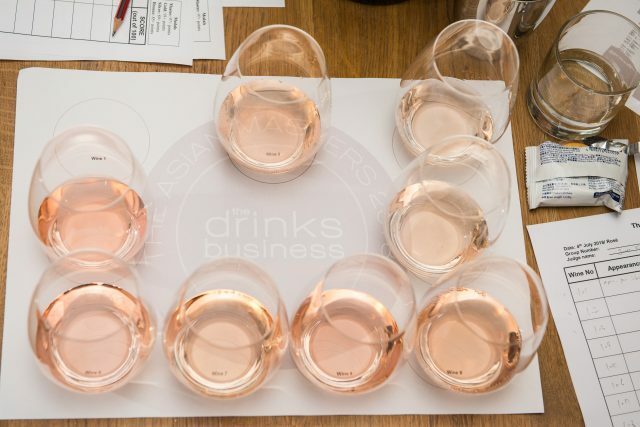 “A lot of people have been brought into the rosé category by an enticing image of bottles of pale pink by the sea and are now really discovering what else the style can offer,” he said. This comes despite a poor harvest in France last year, as a result of bad weather, leading to fears of a shortage of pink wine over the summer. Although production of Provence rosé wines grew last year, bucking a trend seen across many other areas of Europe, where production feel by 14.6%. Overall global production took a hit in 2017, falling to its lowest level in 60 years in 2017, according to confirmed figures released by the International Organisation of Vine and Wine (OIV). The OIV confirmed that wine production had dropped to 250 million hectolitres in 2017, the lowest level since 1957, when volumes stood at 173.8m hectolitres, according to Reuters. Compared with 2016, this represented an 8.6% decline, which was attributed to unfavourable climate conditions across the EU and included terrible frosts and a heatwave that hit France, Spain and Italy during the spring and summer. Majestic said that while it saw certain Provence lines sell out, including its own label Definition rose, what was unexpected was that its customers started to explore new regions, with Portuguese pink and rose from the rest of the South of France doing particularly well. “We think this is due to people wanting to explore the category further,” a spokesman said.